The Teaching for Success online conference will take place from 5 - 9 October 2016 and will focus on the Professional Practices from the British Council’s new CPD Framework for teachers and CPD Framework for teacher educators. 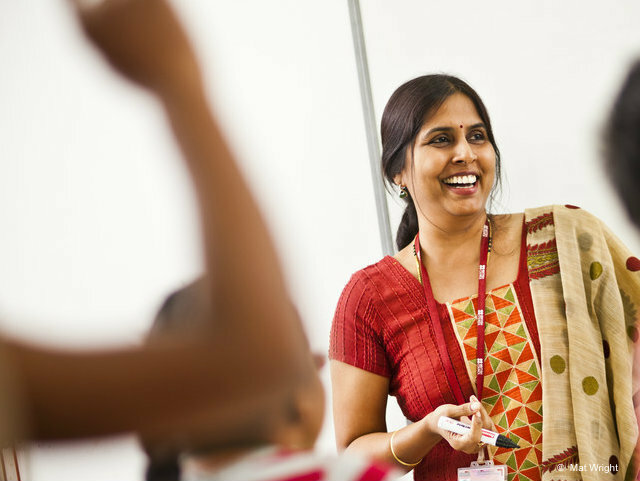 These frameworks form part of the British Council’s wider Teaching for Success approach. Each day of the conference will focus on a combination of four or five professional practices from the two CPD Frameworks for teachers and teacher educators. Each talk or workshop will relate specifically to an aspect, or aspects, of the professional practices and promote strategies for ongoing professional development in those areas. In addition, a number of the talks will focus on the broad theme of continuing professional development and strategies for successful implementation at an individual and institutional level. There will also be talks by members of the British Council to provide an overview of Teaching for Success and how it can be and is being used in a range of contexts. The talks and workshops will last between 20-30 minutes and be recorded. This short format will allow each to be used as part of an extensive CPD resource on TeachingEnglish. In addition to the talks and workshops, prominent educators and leaders within mainstream education and ELT will take part in a series of debates and discussions around a variety of themes related to ongoing professional development. It is expected that the discussions will highlight a number of key issues and processes in teacher development, and promote capacity building and thought leadership of teachers and teacher educators. Throughout the conference, a number of informal online spaces will be provided for participants to discuss ideas from the sessions. Designed to emulate and promote the informal conversations that happen at face-to-face conferences, these informal spaces will generate feedback and ongoing discussion beyond the talks, debates and panel discussions. By raising awareness of Teaching for Success, it is hoped that key partnerships can be formed. Throughout the conference and beyond, we encourage ongoing discussion and collaboration with potential partners to introduce the Teaching for Success approach more widely. Communicate the Teaching for Success approach, with a particular emphasis on exploring the CPD Framework for teachers and the CPD Framework for teacher educators in greater detail. Generate meaningful and sustainable dialogue among participants and speakers around a number of CPD-related themes. Provide a platform for discussion with potential partners wanting to work with the British Council in the area of professional development. We are seeking conference proposals from teachers, trainers, writers, project managers and researchers with a wide range of experience and expertise and from diverse backgrounds, to provide new learning, understanding, skills, or inspiring ideas for teaching professionals across the entire spectrum of education. As well as proposals from specialists, we would like to hear from practising teachers with innovative techniques for building knowledge and awareness of CPD. We invite you to put forward your proposal.